Heyl & Patterson has been based in Pittsburgh since its founding in 1887. Heyl & Patterson’s hometown success story began when Edmund W. Heyl and William J. Patterson formed a sales agency in downtown Pittsburgh for conveyer chains and elevator buckets. Due to its proximity to the coal, steel, glass and aluminum industries of southwestern Pennsylvania, Heyl & Patterson quickly evolved into one of their top suppliers as they grew in the region. 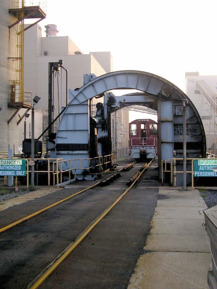 Heyl & Patterson is now an innovator of railroad and barge unloaders and thermal processing equipment for the mining, chemical, energy and biomass sectors. The company currently does business throughout North America and around the world, with electric power plants, export facilities and steel mills, and has ongoing relationships in countries such as Argentina, Australia, Brazil, Chile, India, Indonesia and South Korea. Prominent projects have included the wheel assemblies that move the roof of the Civic Arena in Pittsburgh, launch pad blast deflectors at the Kennedy Space Center in Cape Canaveral, and the largest capacity high-efficiency dryer in the world for U.S. Steel. During World War II, Heyl & Patterson was awarded the U.S. Army-Navy “E” Award for excellence in wartime production of manufacturing equipment. Heyl & Patterson holds numerous patents, including a fluid bed coal burner that turns refuse into clean, stable pellets that can be disposed of without ecological damage. 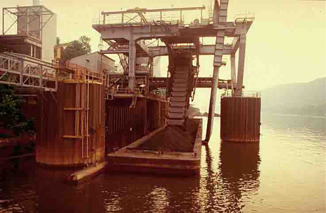 The company also invented a travelling hammermill to work in conjunction with a railroad car dumper; a crane that automatically replaces worn wire rope when safety requires it; and the Continuous Barge Unloader, a machine with a series of buckets running in a continuous loop, which now makes up the majority of unloaders on the Mississippi Delta. After 125 years, Heyl & Patterson is more vital than ever, leading the way in product and industry knowledge. It serves on the Lignite Energy Council to enhance the development of American lignite coal for generating electricity, and is active in several specialty engineering and manufacturing associations. Heyl & Patterson was recently part of a team to receive the Coal-Fired Project of the Year Award for creating a cost-saving technology that improves fuel quality and decreases dangerous gas emissions at power plants. The company has also developed equipment for wood torrefaction, a process that essentially converts wood biomass into a renewable coal substitute. Heyl & Patterson has a long history of giving back to the community. These efforts include participation in the Allegheny Conference Regional Investors Council to provide input and expertise for economic and community advancement across the ten-county area. Heyl & Patterson is a long-time sponsor of the Association of Independent Colleges and Universities of Pennsylvania, American Cancer Society and Entrepreneuring Youth, and is a member of the University of Pittsburgh’s Institute of Entrepreneurial Excellence. Heyl & Patterson will host a series of events throughout 2012, including its 15th Bi-Annual Railcar Dumper User Group Conference in September.